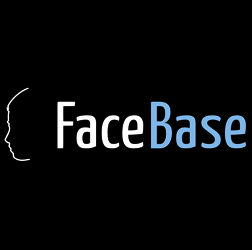 FaceBase https://www.facebase.org is a repository of craniofacial data established in 2009 that renewed in 2014 for a second phase, known as FaceBase 2. At this point, ISRD started managing its coordinating center (known as the Hub), providing a new data model, data browser (based on Chaise/Ermrest) and coordinating data publishing and sharing between 10 project spokes to accelerate craniofacial research. 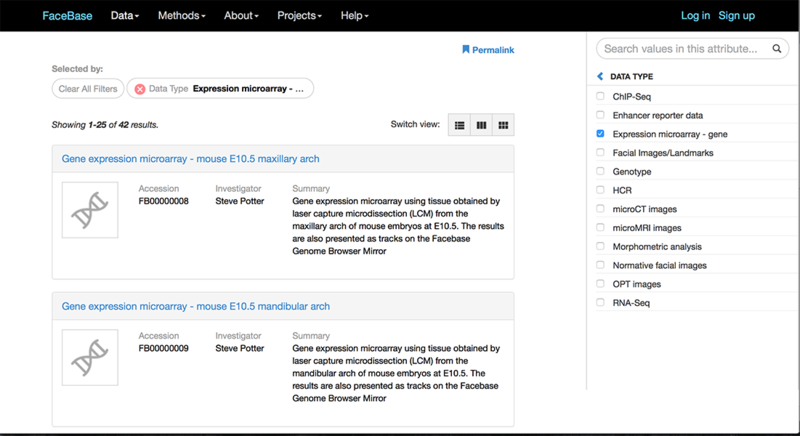 ISRD has updated the FaceBase data model (based on Chaise/ERMrest) to organize craniofacial data - consisting of a broad range of data types from high-resolution microCT images to RNA-seq data - and display attributes of that data in the sidebar, allowing users to filter available data into the repository by the facets most useful to their research.